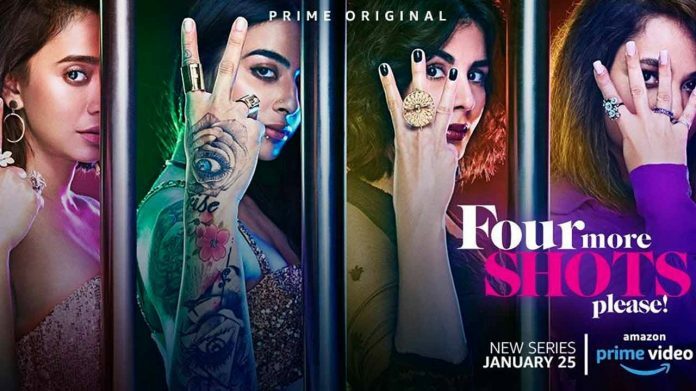 This Is How Kirti Kulhari Overcame Her Fear In Amazon Prime Originals Four More Shots Please! Amazon Prime Video Original’s Four More Shots Please which showcases the lives of four imperfect women, bound by a beautiful friendship has Kirti Kulhari play the character of a single mother and the actress was afraid to play the role initially. Ever since its release, the series has been getting rave reviews and appreciation from the audience and critics alike, for its storyline as well as the actor’s performances. Kirit Kulhari who is seen playing the role of a single mother in the series was approached by the director Rangita and after reading the script the actress was at first skeptical on doing the series. but it was her husband who gave her the confidence to do play the character.